There are so many travel nursing jobs that it can be difficult to find the right one. A traveling nurse, through nurse recruitment agencies, are in high demand. That demand makes this career higher paying than nurses employed by a hospital or medical center. In the US, demand for qualified RNs who can move from each job assignment to the next, with little downtime, is high. If a traveling nurse wished to be on the road for an extended period, they could accomplish this fairly easily with proper planning of their assignments. Staying on the road and traveling around the country is a great way to enjoy life with travel nursing jobs. Travel nursing jobs are normally handled by the best travel nursing agencies and not by a hospital or other medical facility. There are rare cases where the nurse will find assignments on their own. Employers, however, want and need to be certain that the particular nurse has the proper credentials and that their license will permit them to work in the state. If for whatever reason, certain requirements need to be met, the agency will take care of it. The agency will also find living accommodations for the traveling nurse, and in some cases, will advance a travel allowance so the nurse doesn’t have to front any of these expenses. Most importantly, the nurse recruitment agencies manage the traveling nurse’s payroll and make sure that they are paid the proper amount and on time. In addition, the travel nurse agency usually pays licensing fees and other expenses. Once the nurse decides which assignment they desire, the best travel nursing companies must be certain that she/he is qualified and properly licensed, especially if the assignment is in a different state. Once these requirements are satisfied, the mode of travel is discussed with the traveling nurse. The agency will try to select living accommodations as near to the assignment as possible to reduce the nurse’s travel time. Since the agency is compensated for travel nursing jobs as well, you are assured that they will see to your needs, and provide you with as much work as you want. 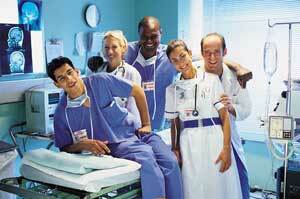 Many individuals are entering the traveling nurse profession because it can be a fulfilling and rewarding lifestyle. The demand for this profession has always been high and quite often there are many travel nursing jobs available in very popular tourist oriented locations. With the right nurse recruitment agencies, excellent benefits, and a higher average salary, travel nursing may be the job for you! So why choose My Nurse Recruiter? Okay here comes the hardest question. Why us? Because My Nurse Recruiter has a superb reputation for dealing with the very best travel nursing agencies. We understand both points of view and aim to take the headaches out of the employment process by making it simple. We are certain we can help find positions for nurses across the country and have been since 2006. Your time is precious, don’t waste it looking when My Nurse Recruiter can do it for you. And best of all, it costs you absolutely nothing. Give it a try, you have nothing to lose and a lot to gain.